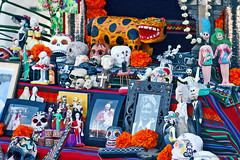 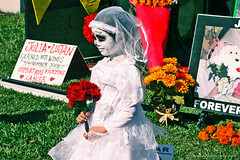 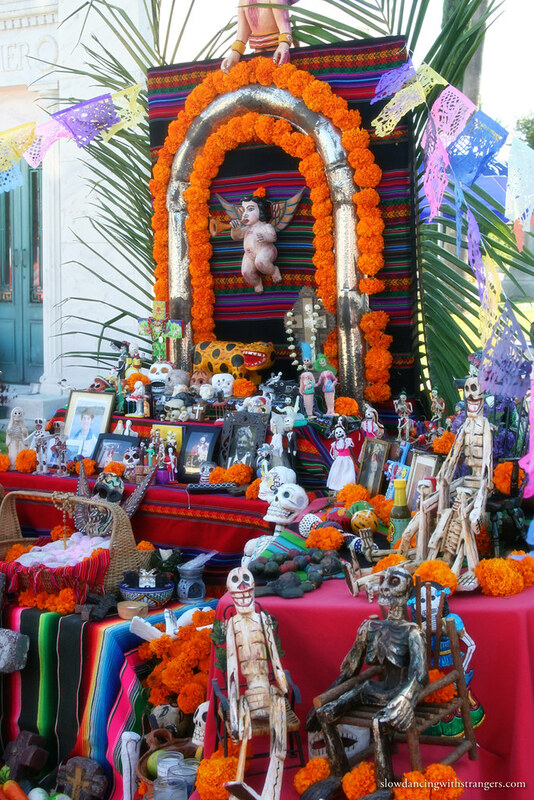 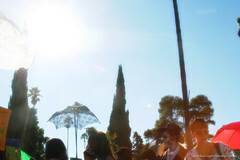 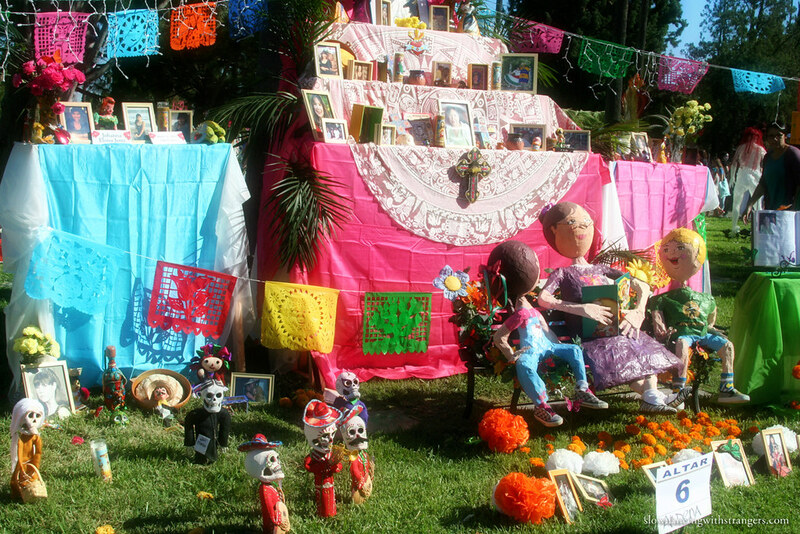 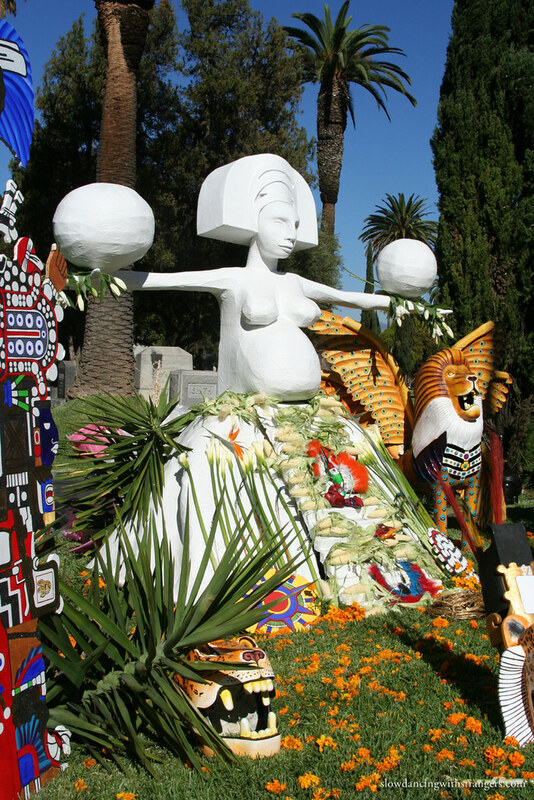 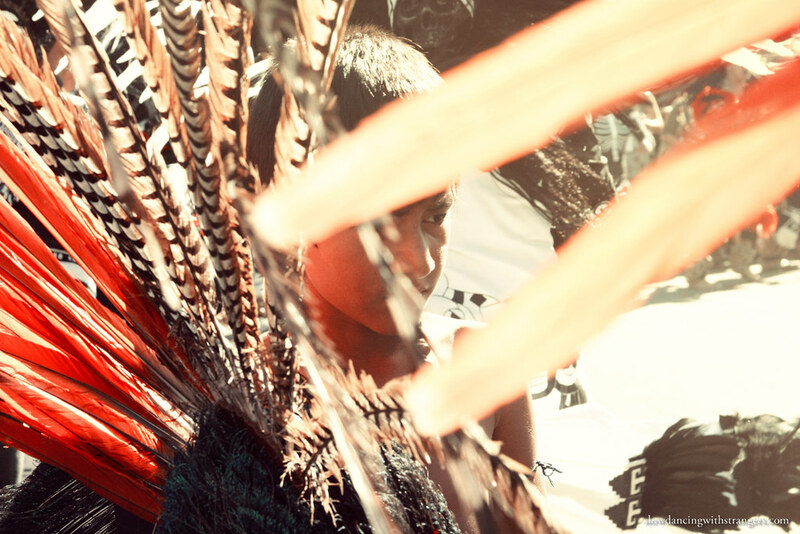 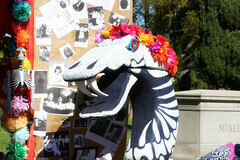 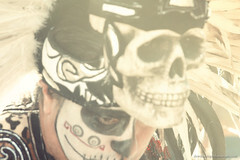 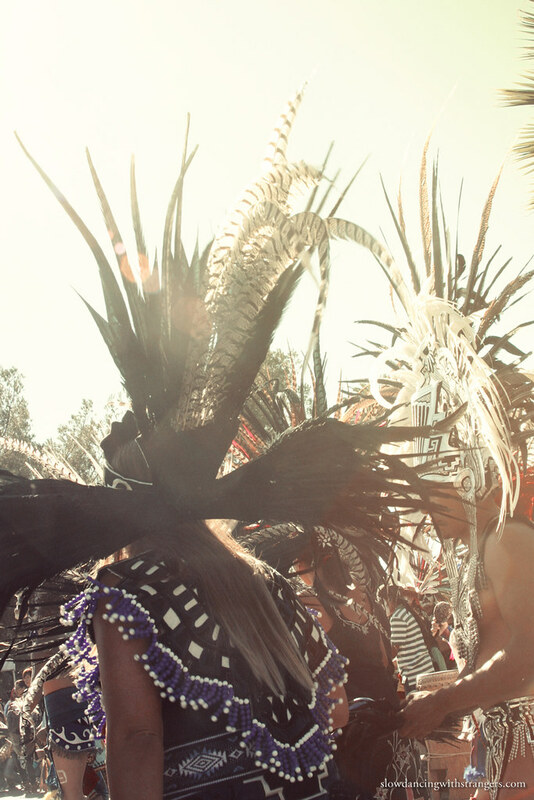 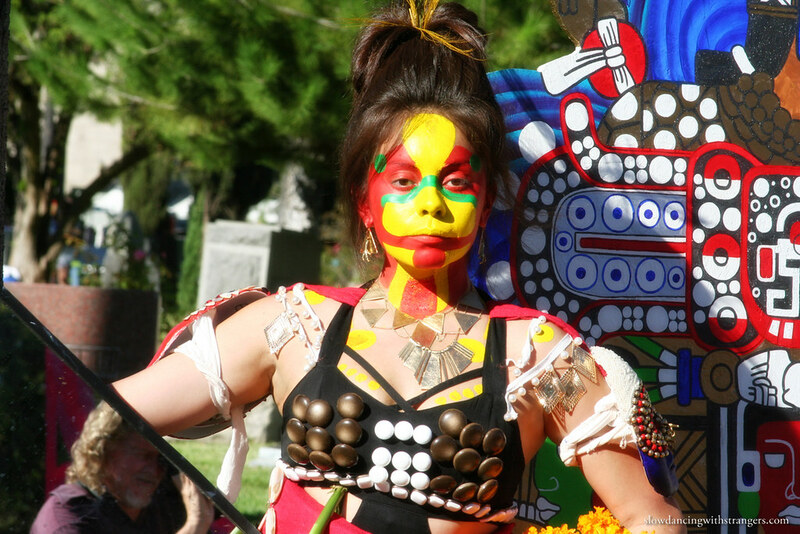 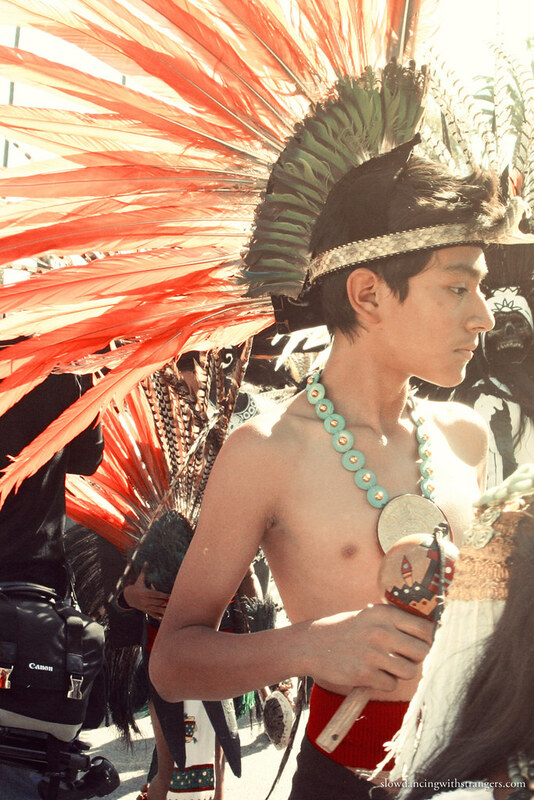 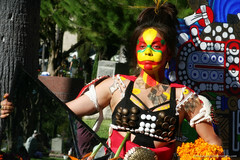 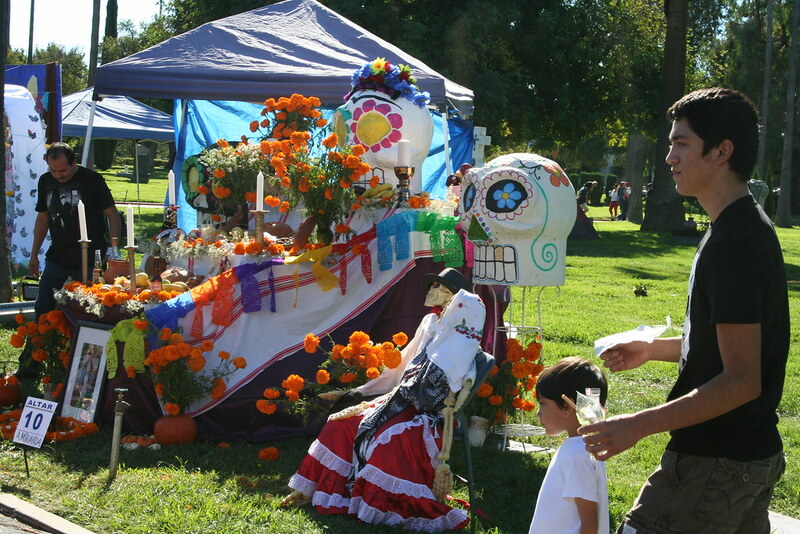 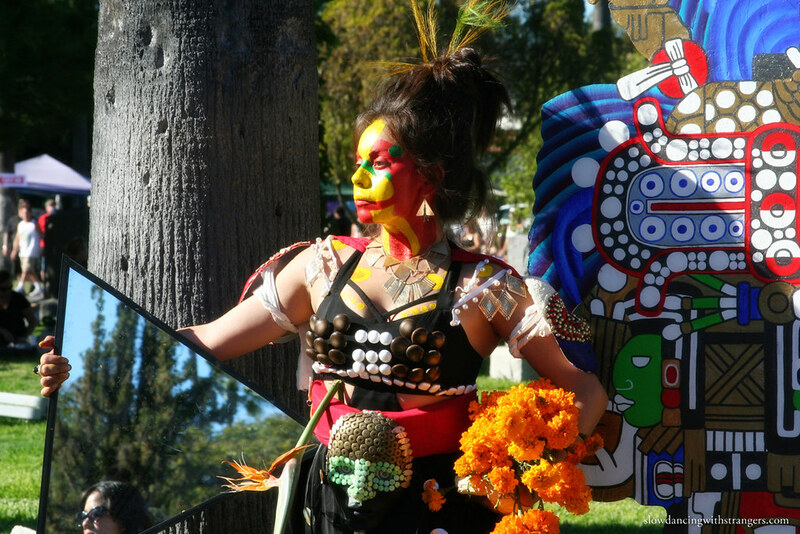 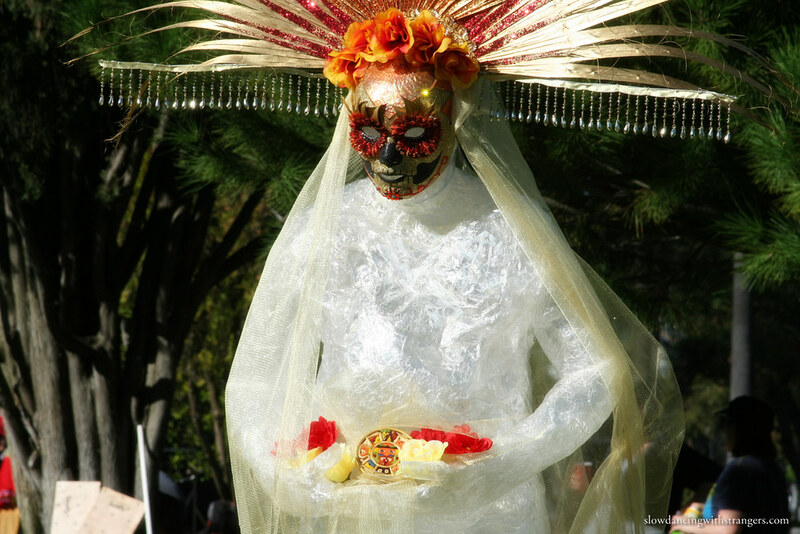 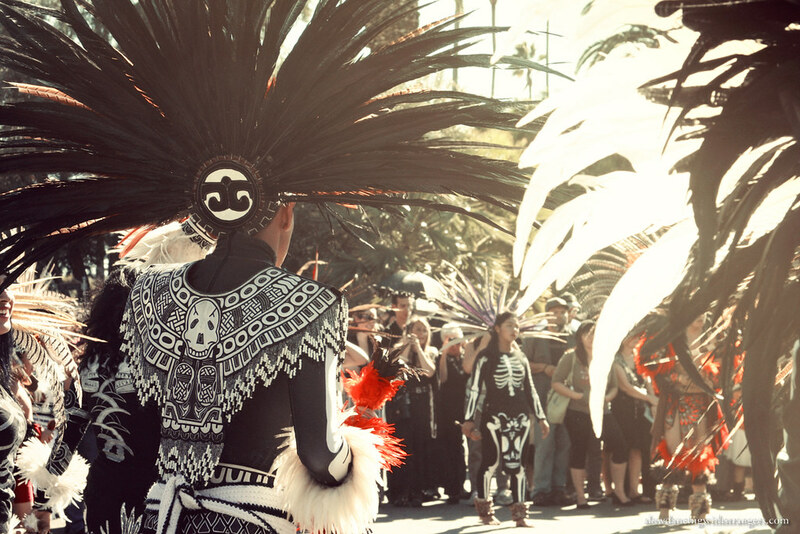 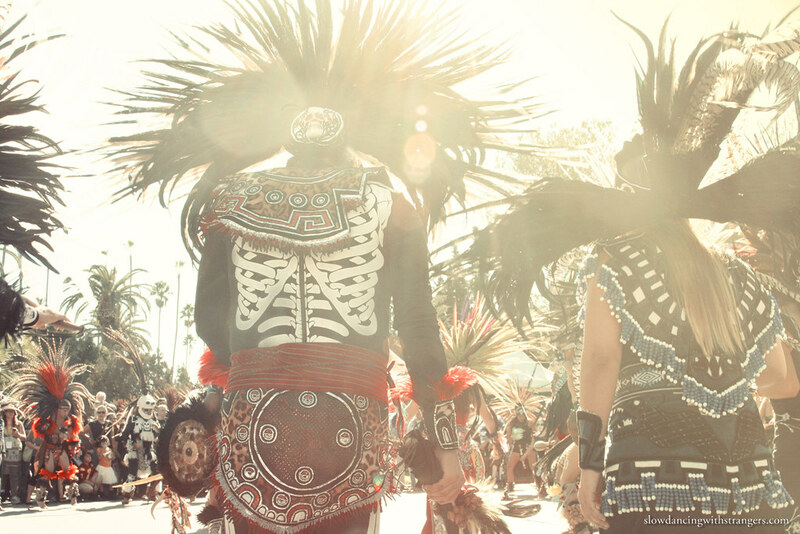 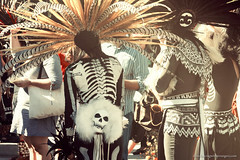 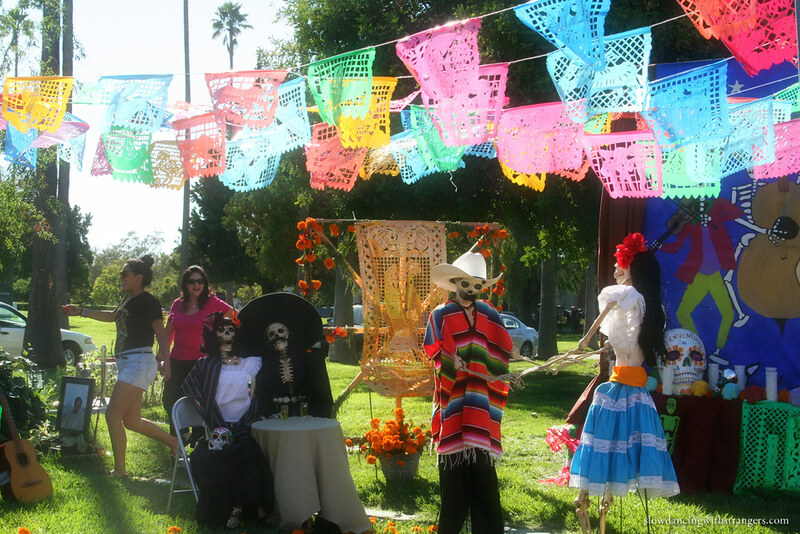 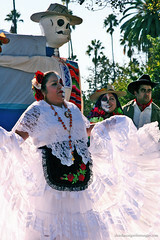 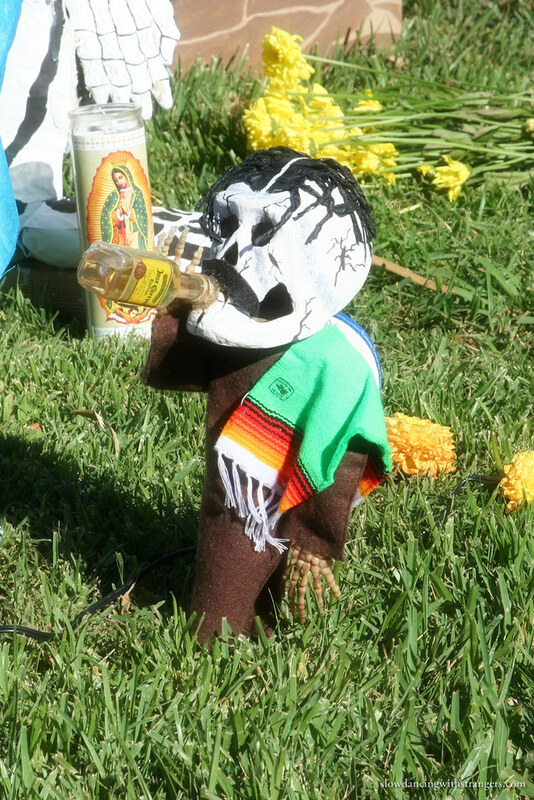 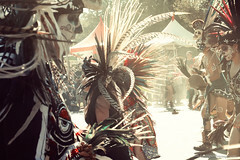 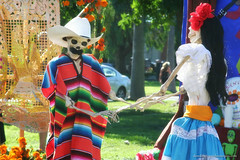 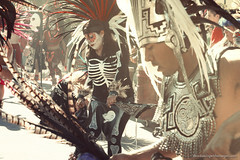 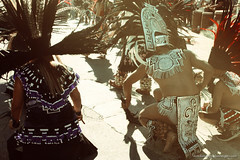 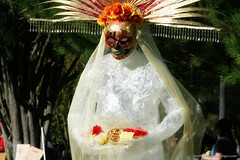 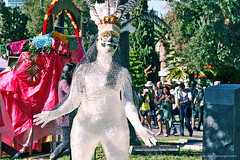 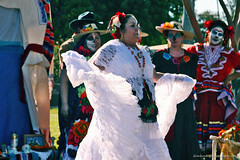 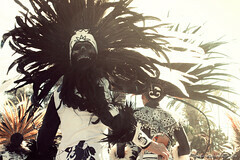 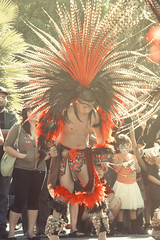 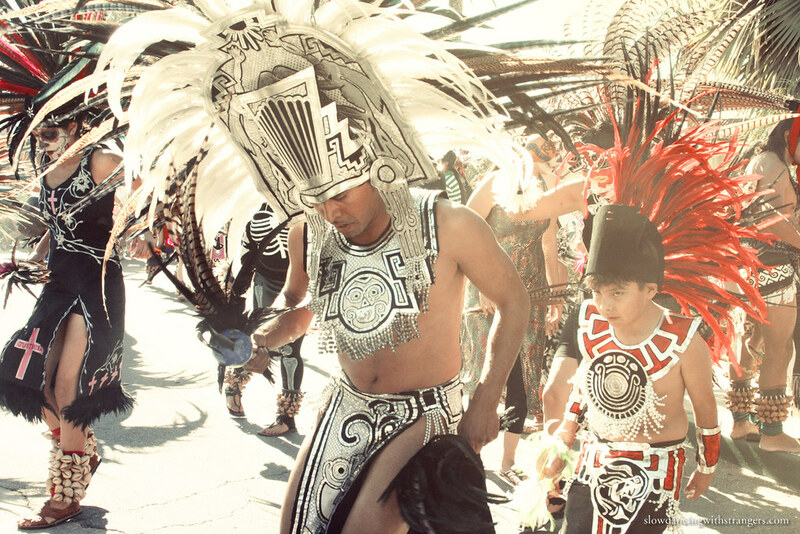 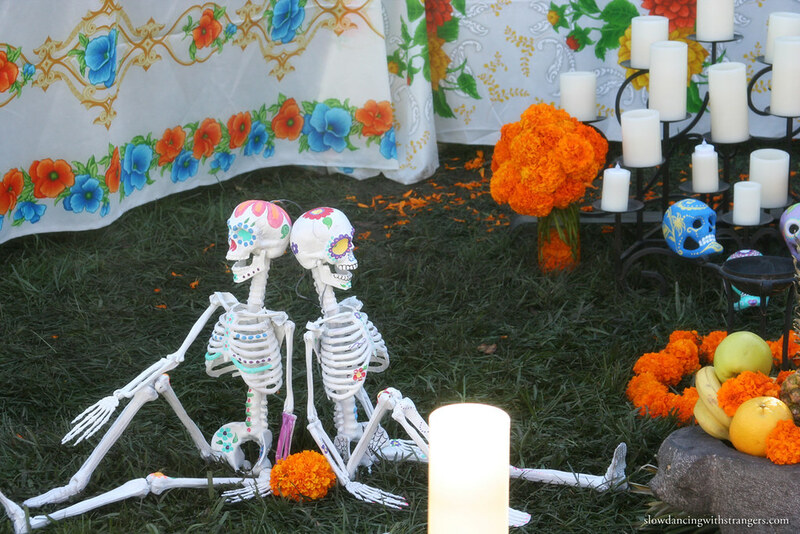 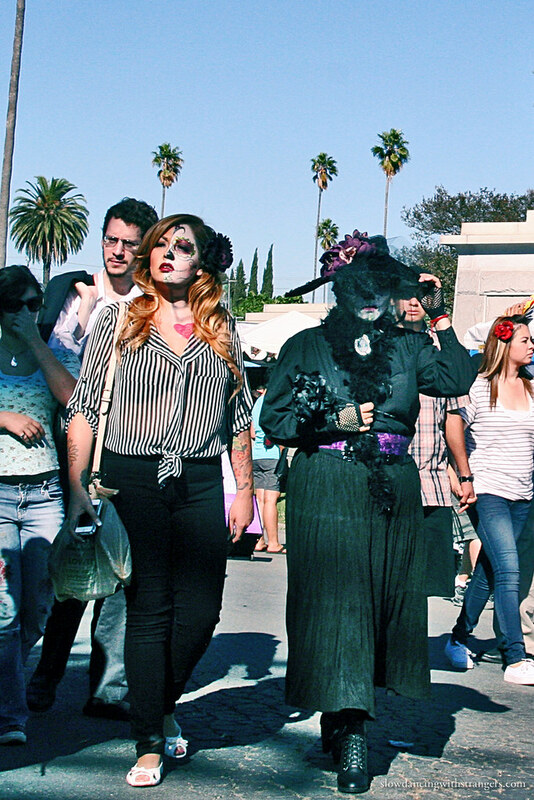 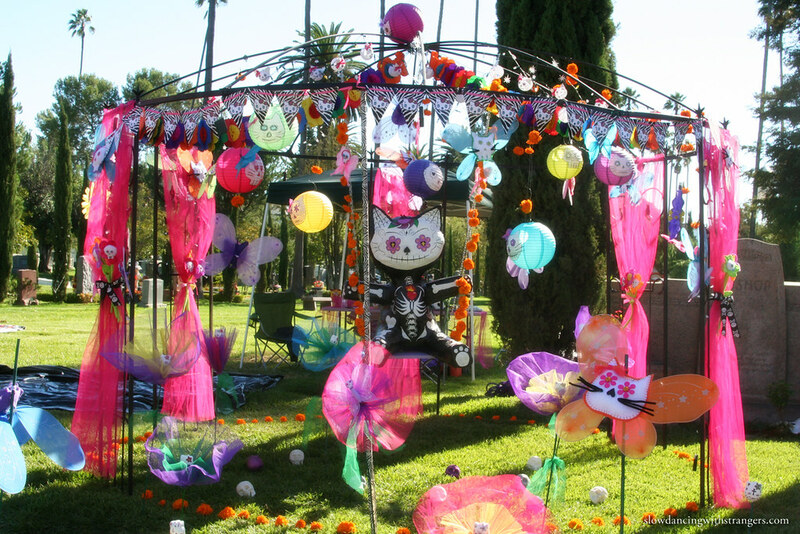 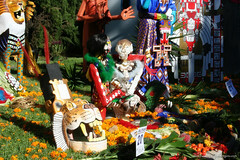 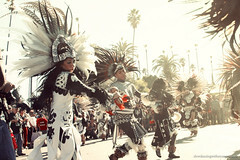 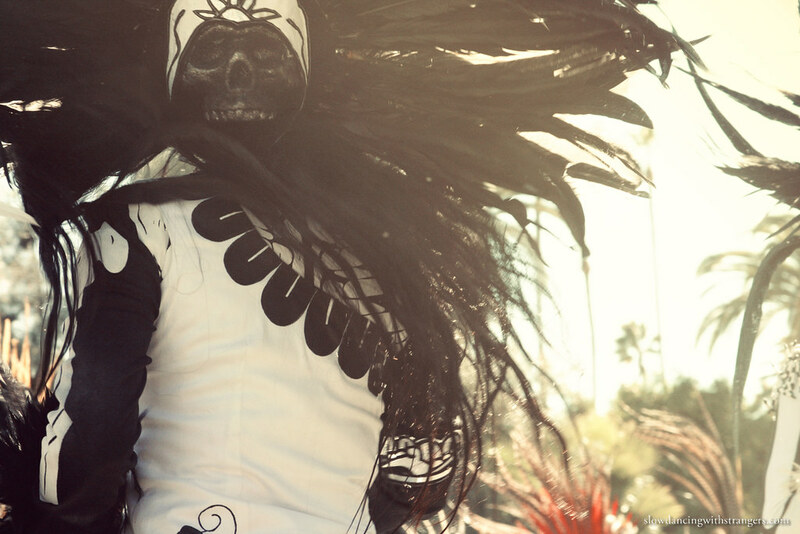 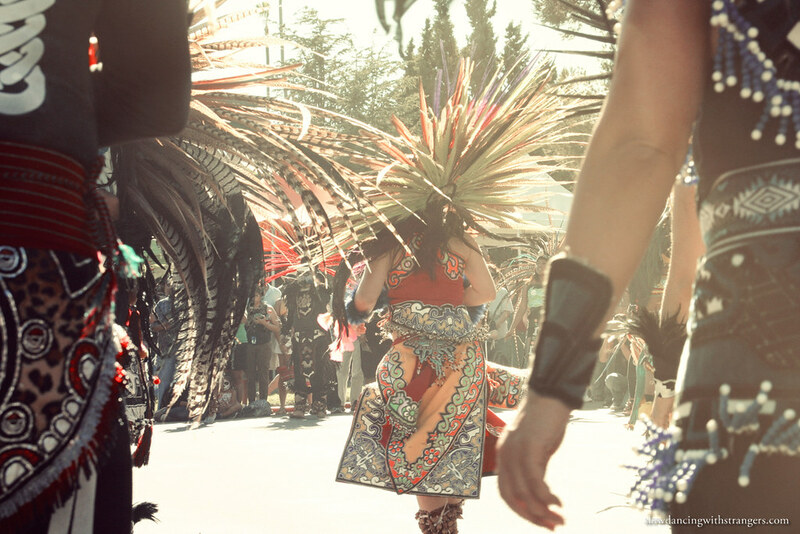 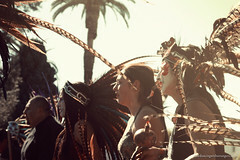 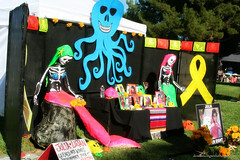 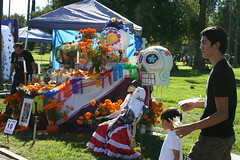 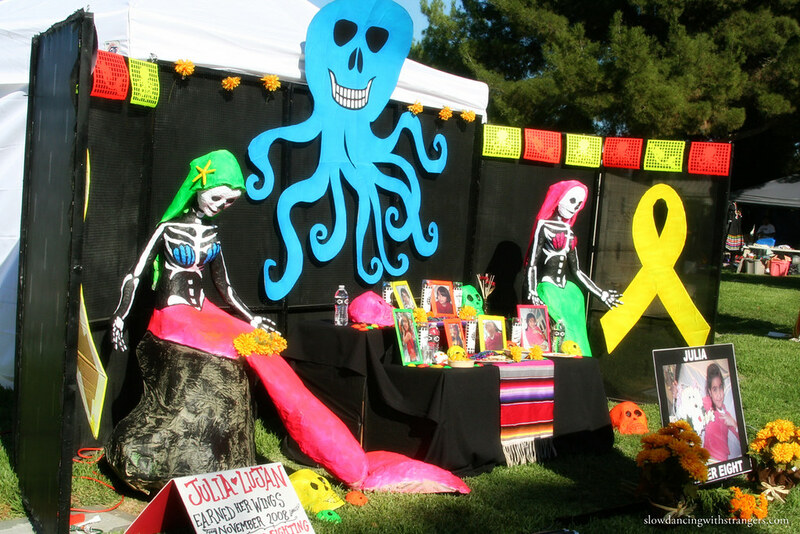 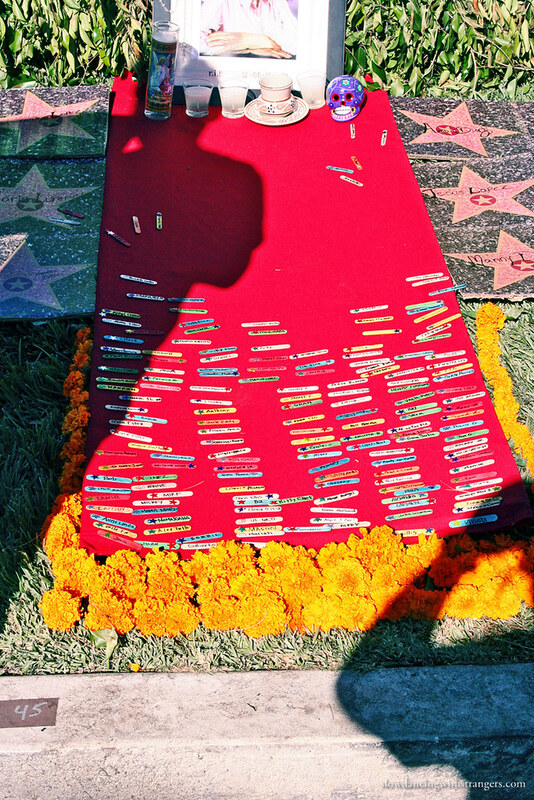 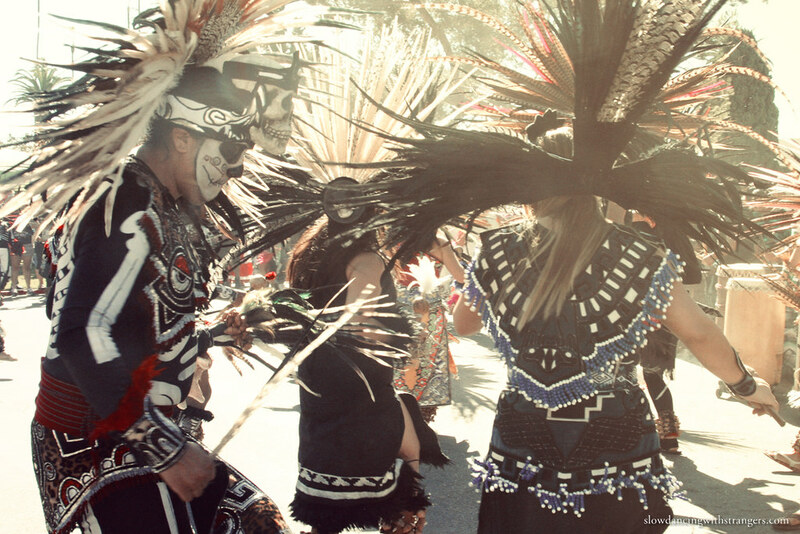 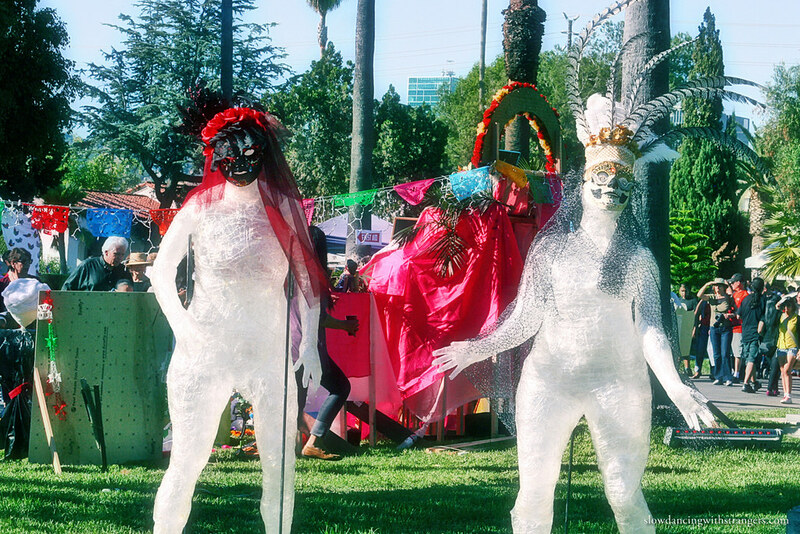 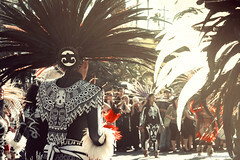 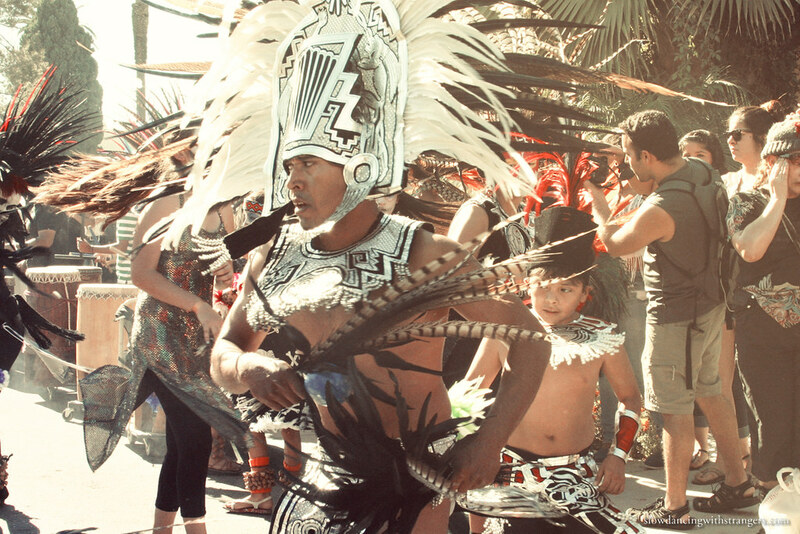 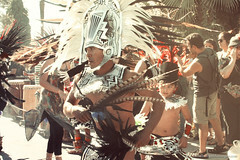 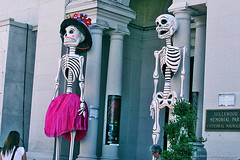 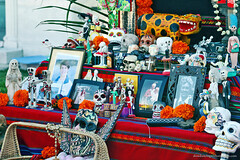 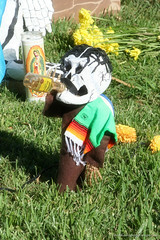 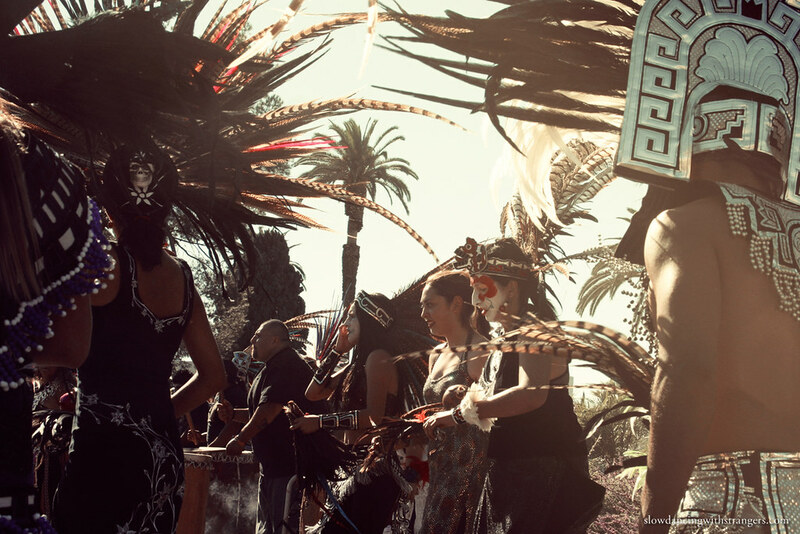 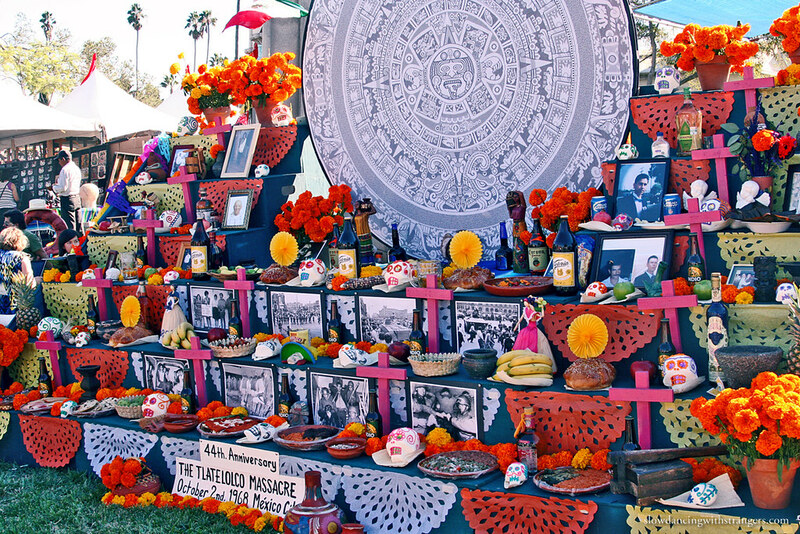 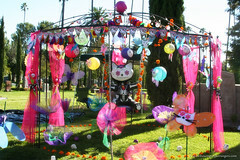 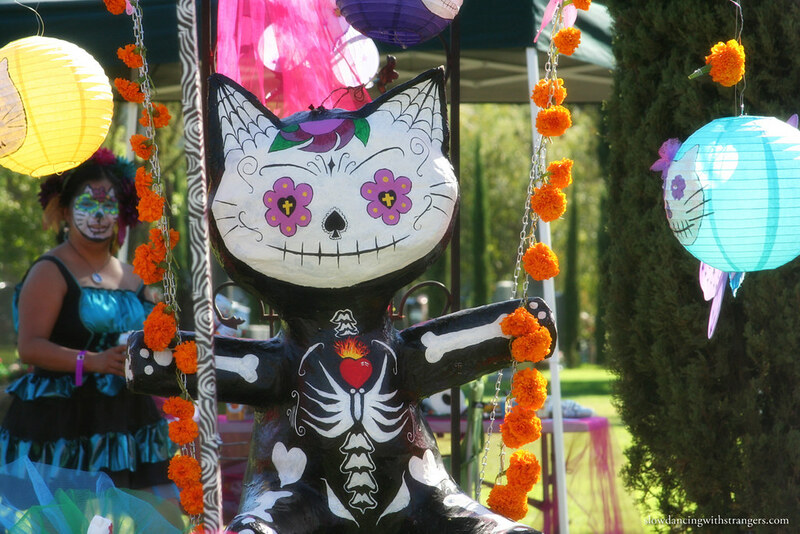 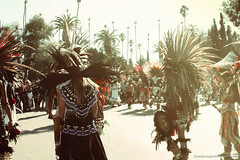 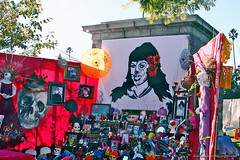 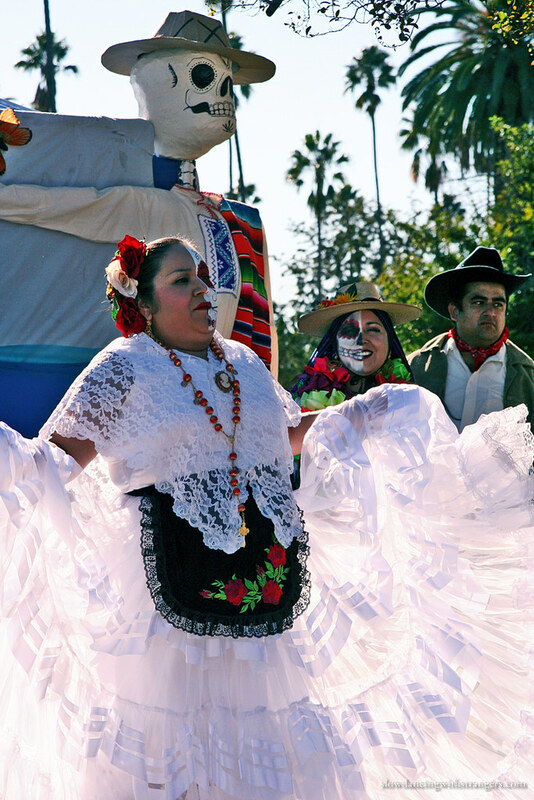 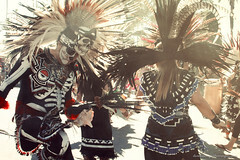 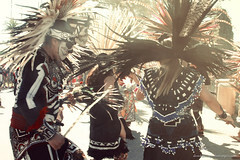 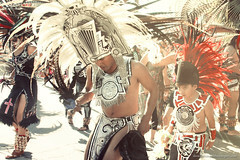 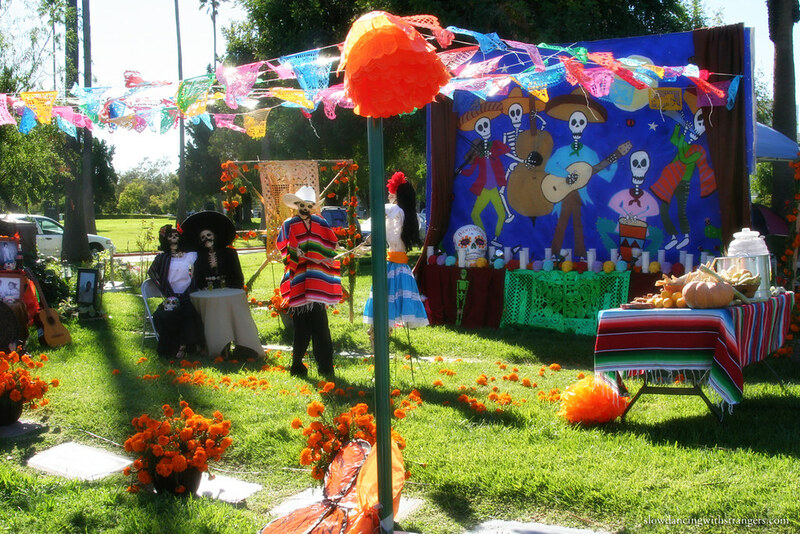 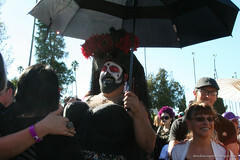 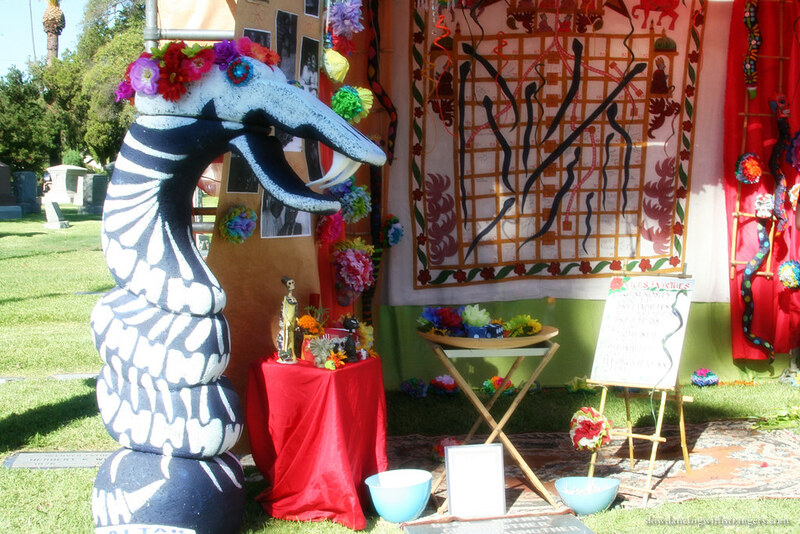 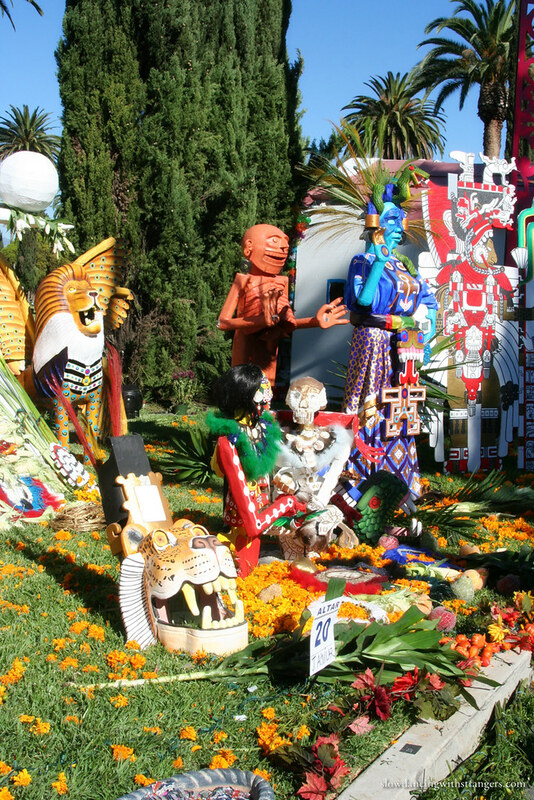 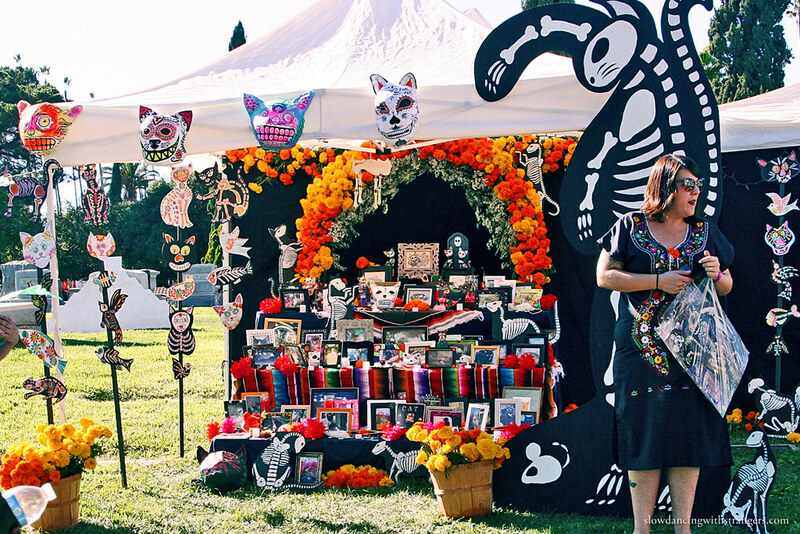 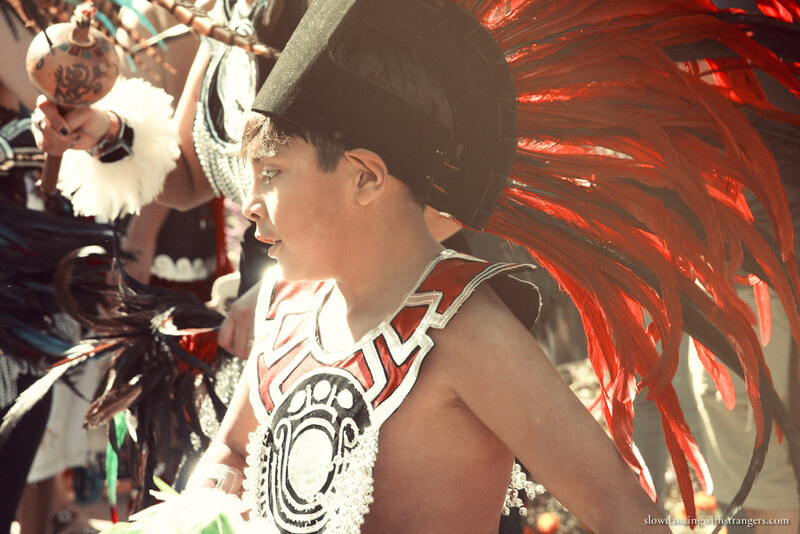 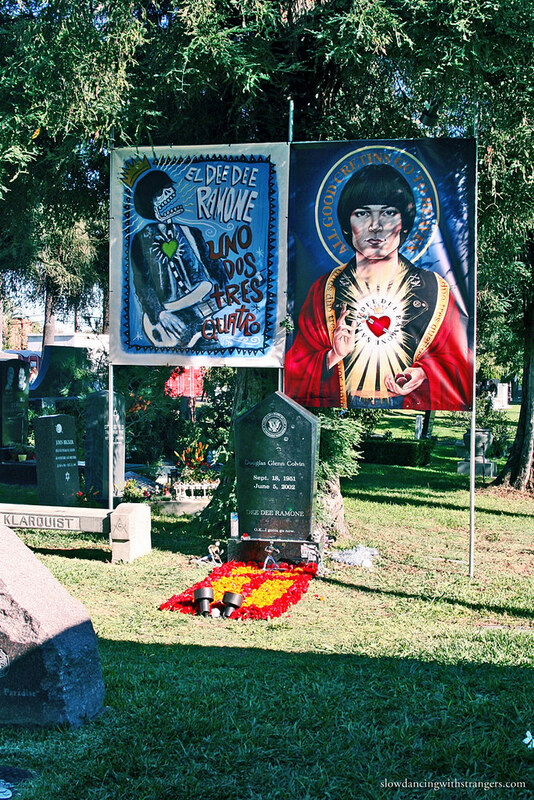 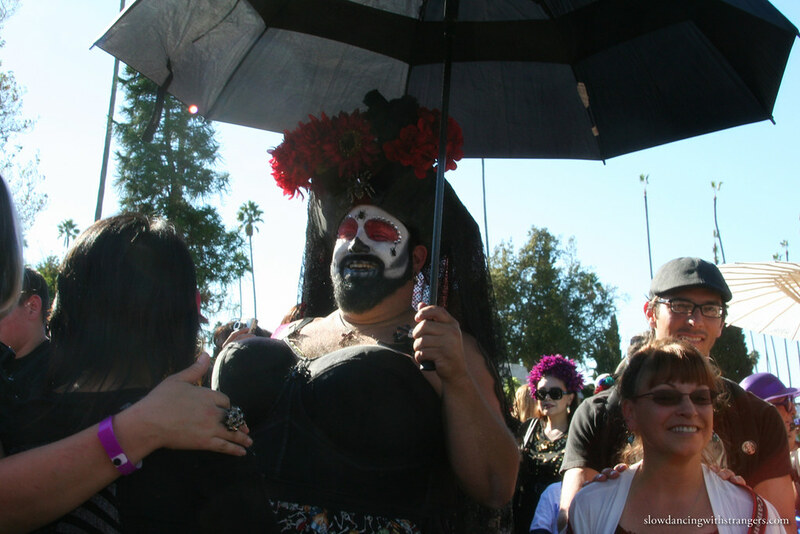 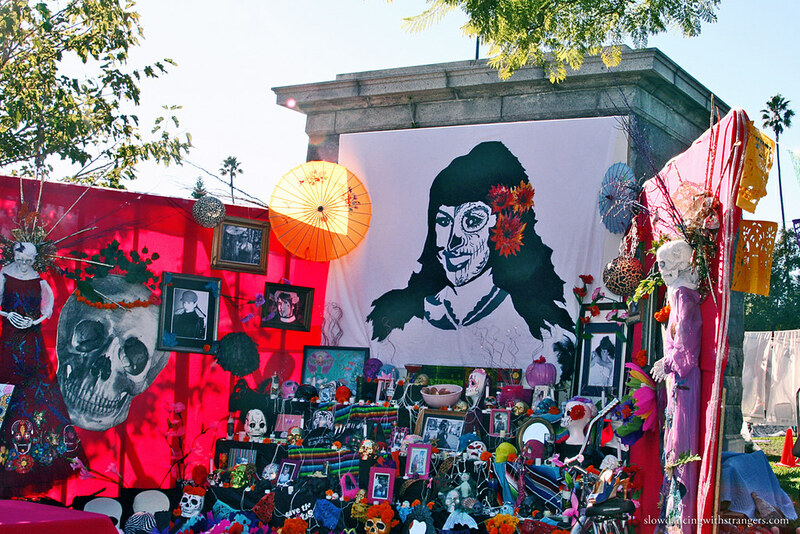 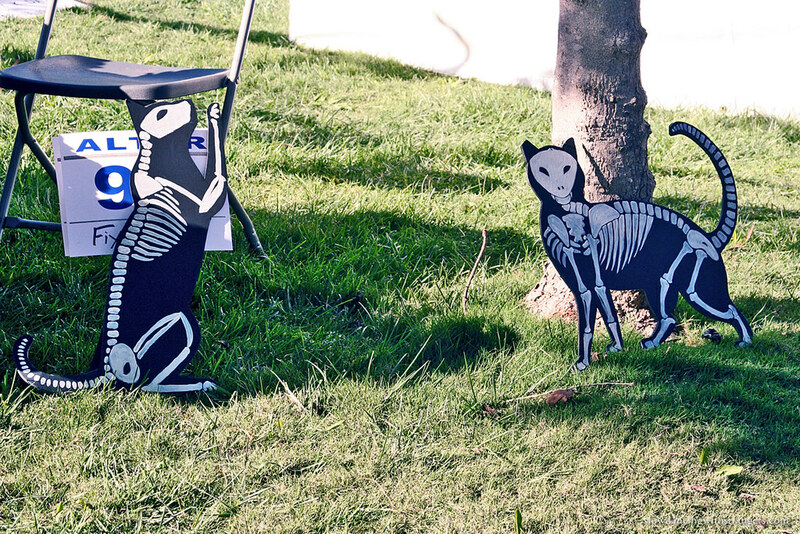 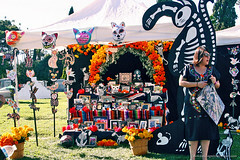 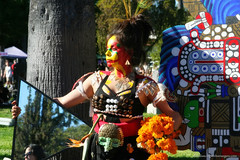 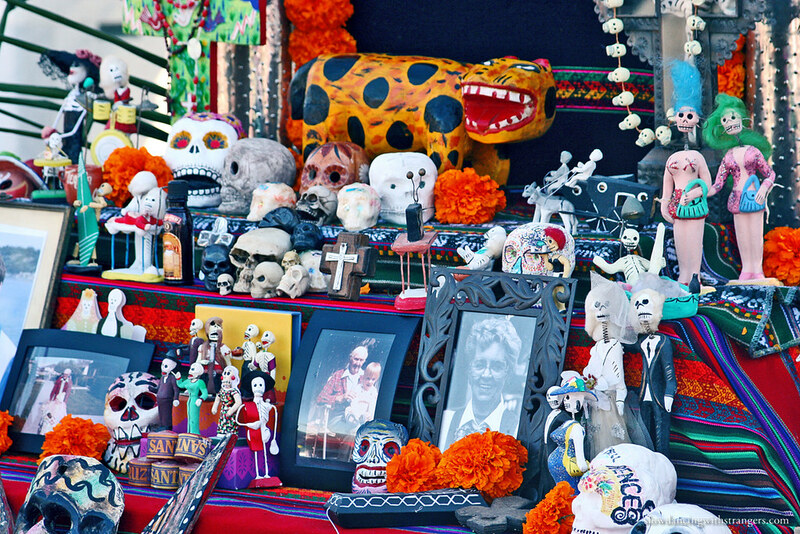 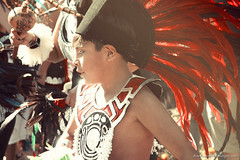 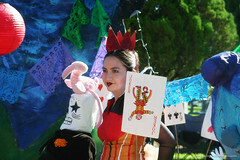 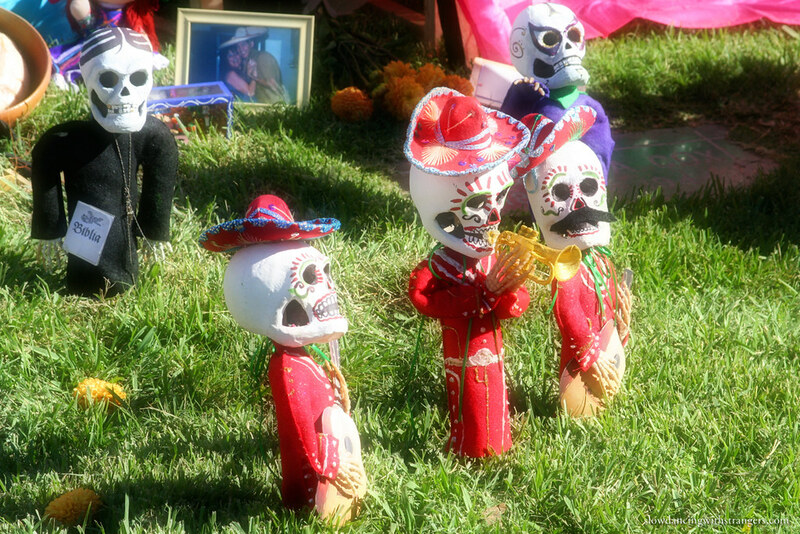 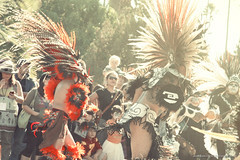 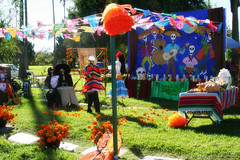 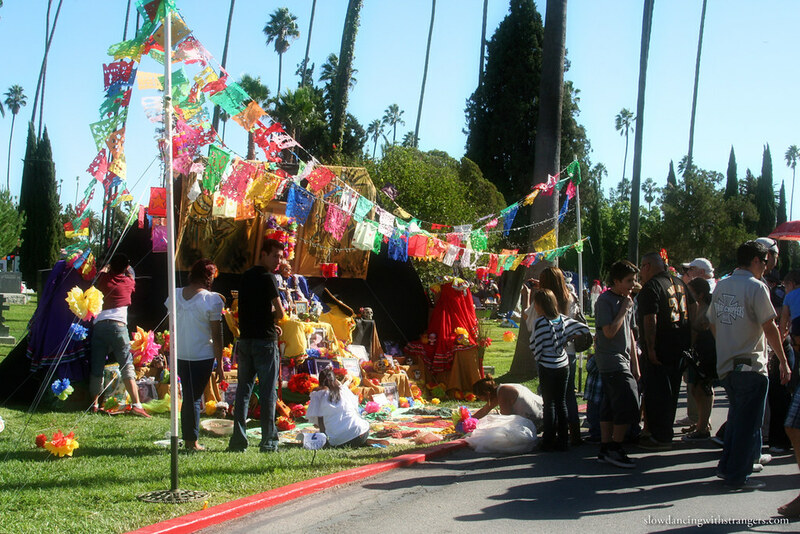 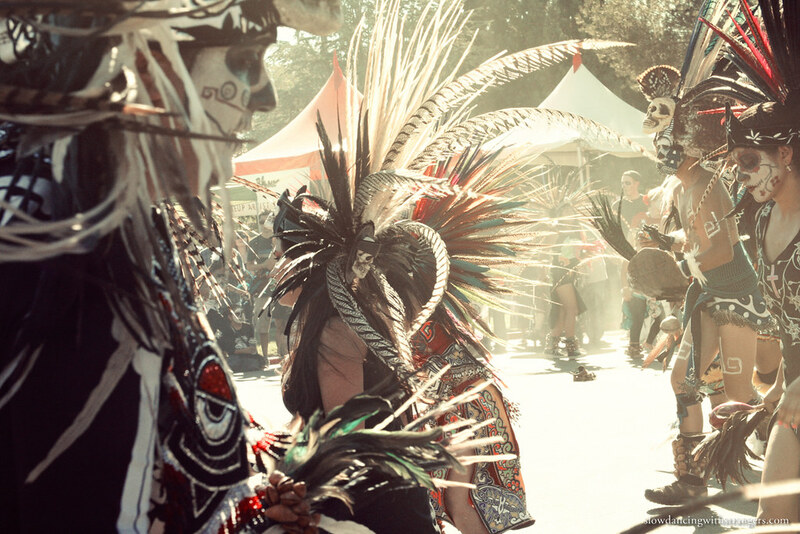 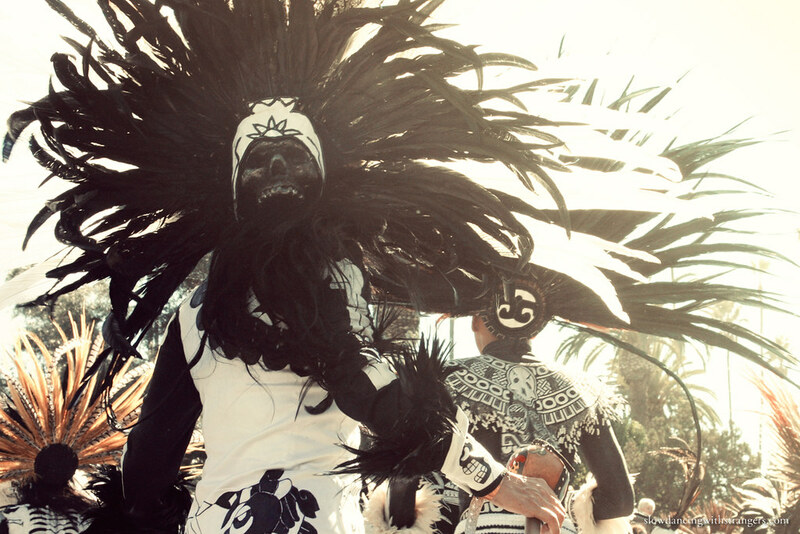 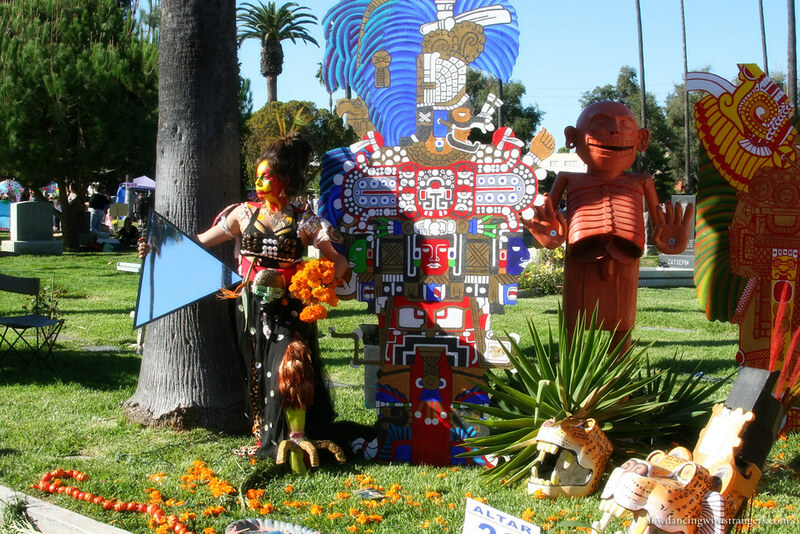 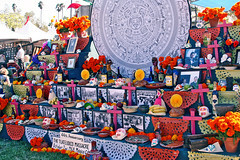 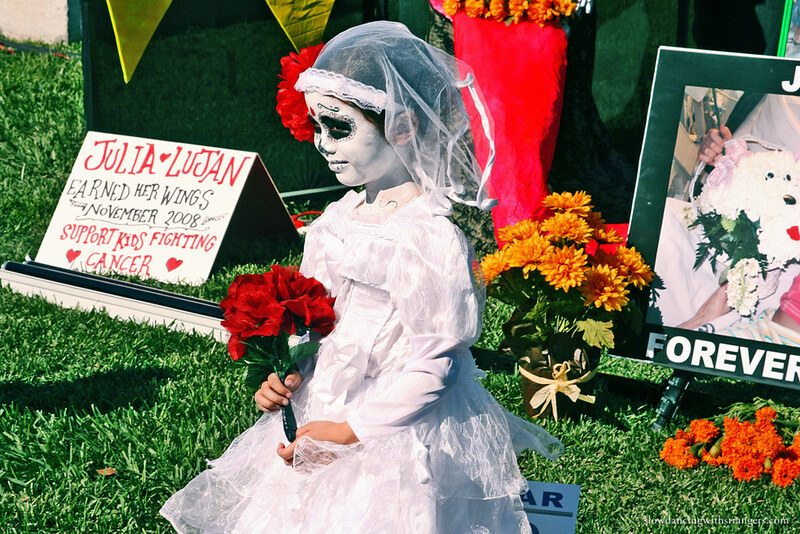 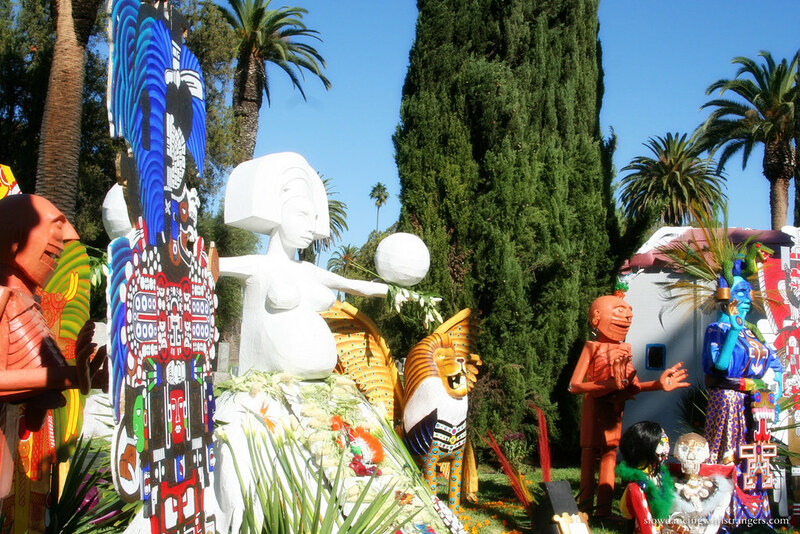 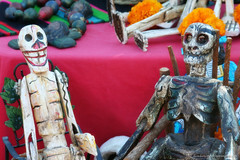 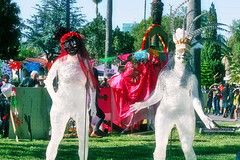 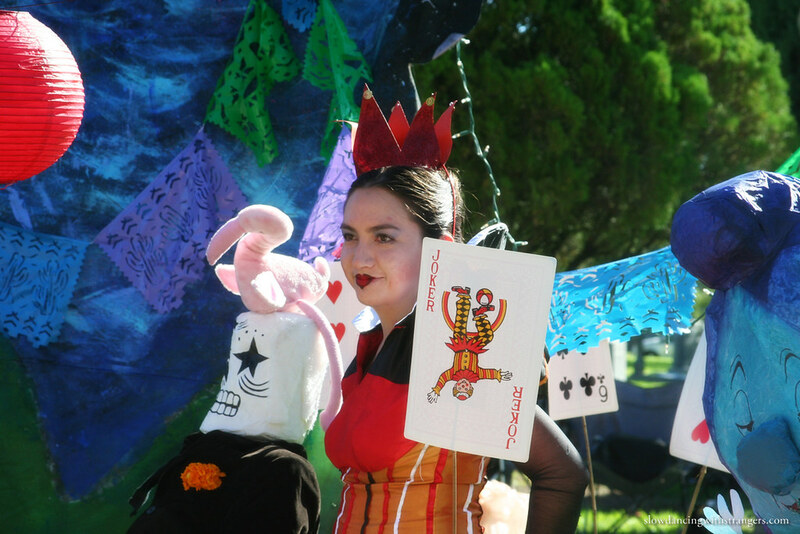 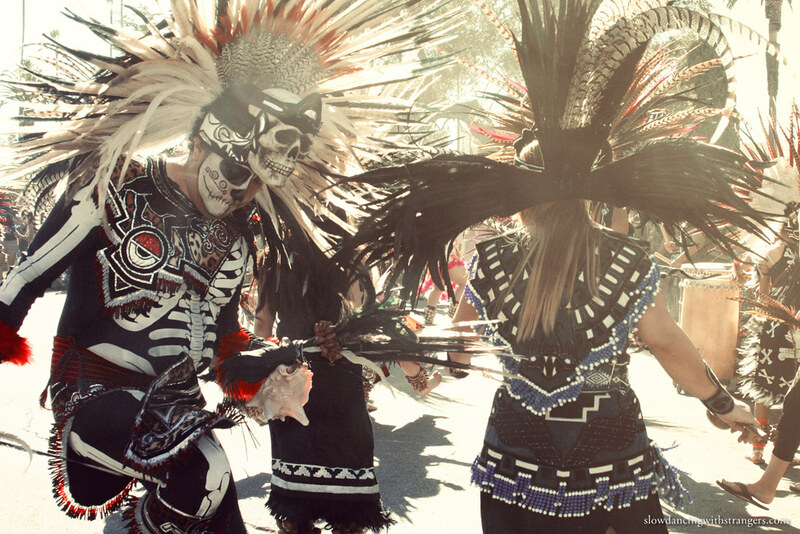 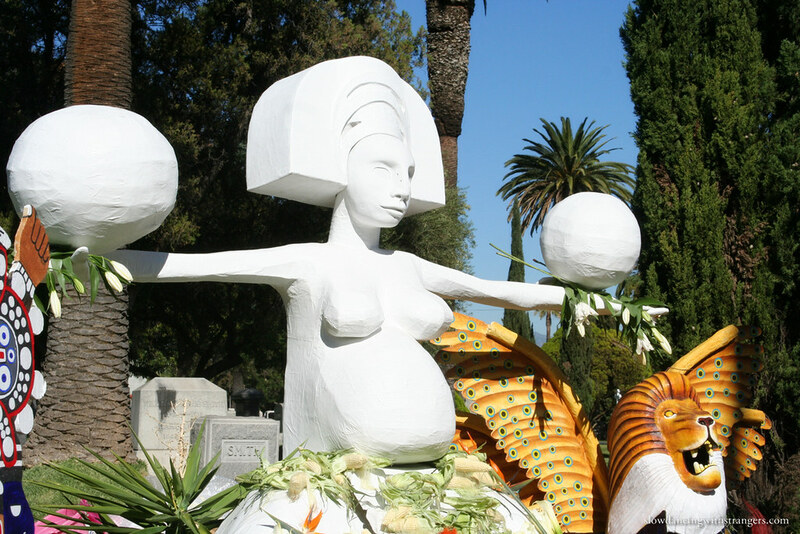 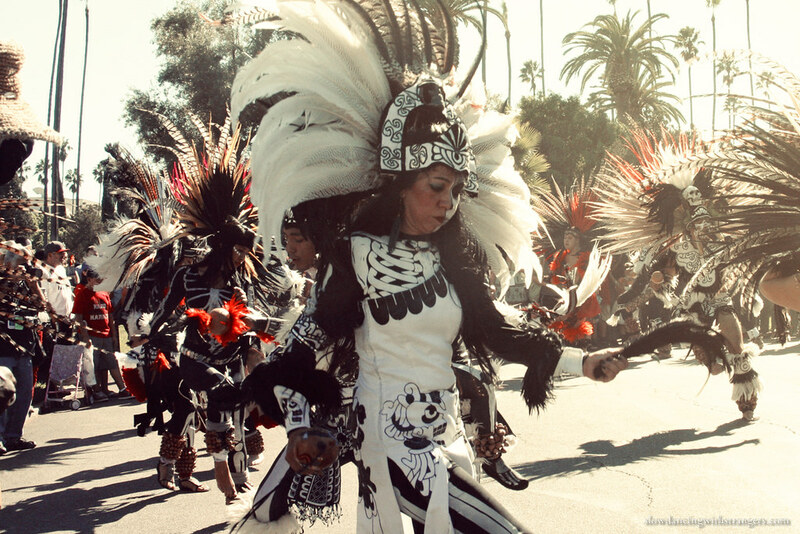 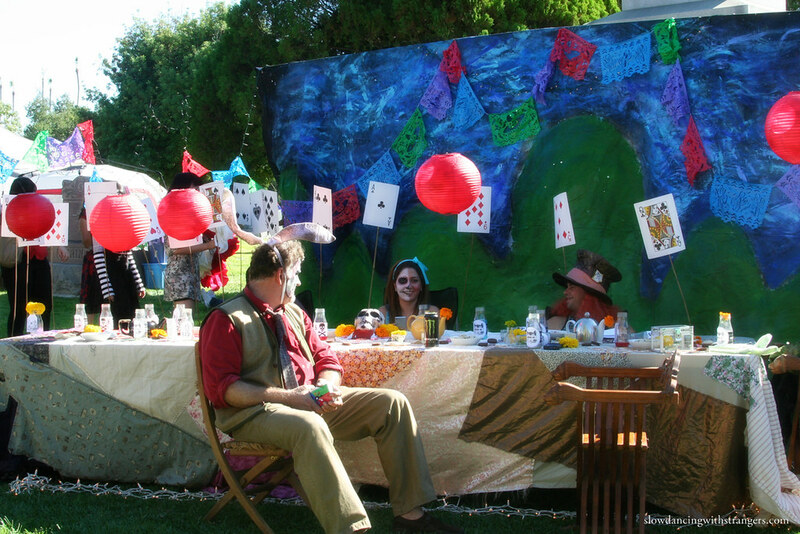 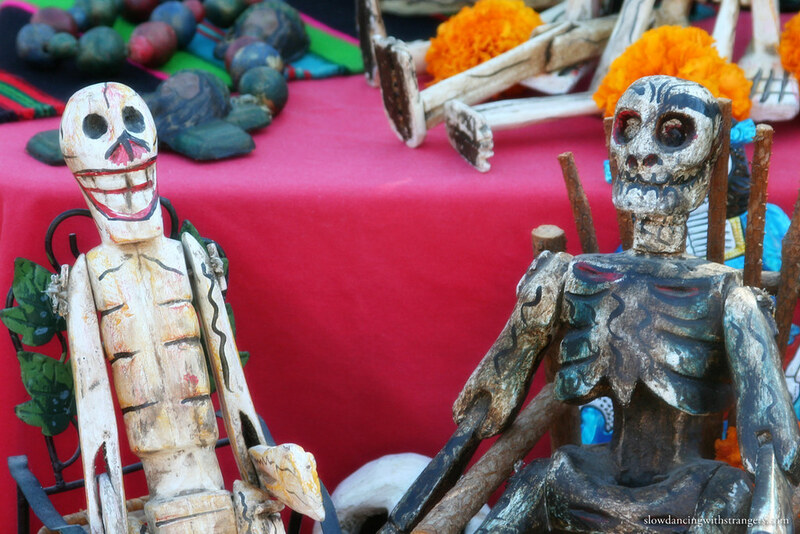 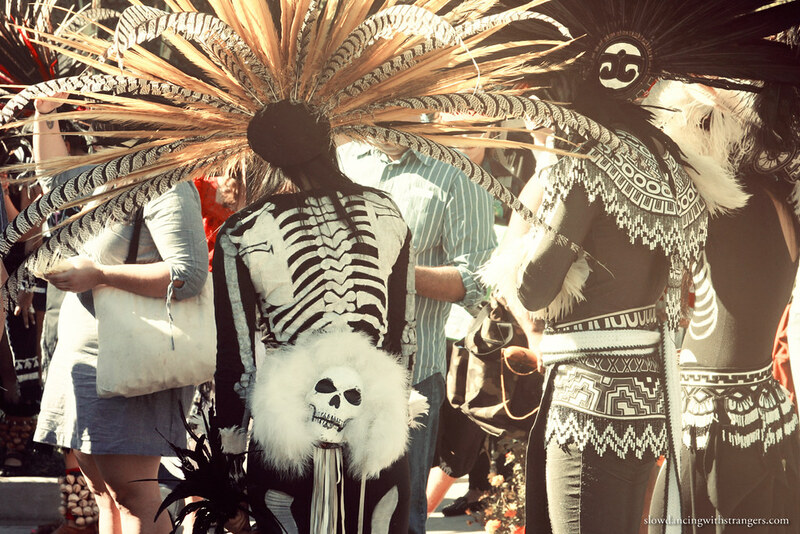 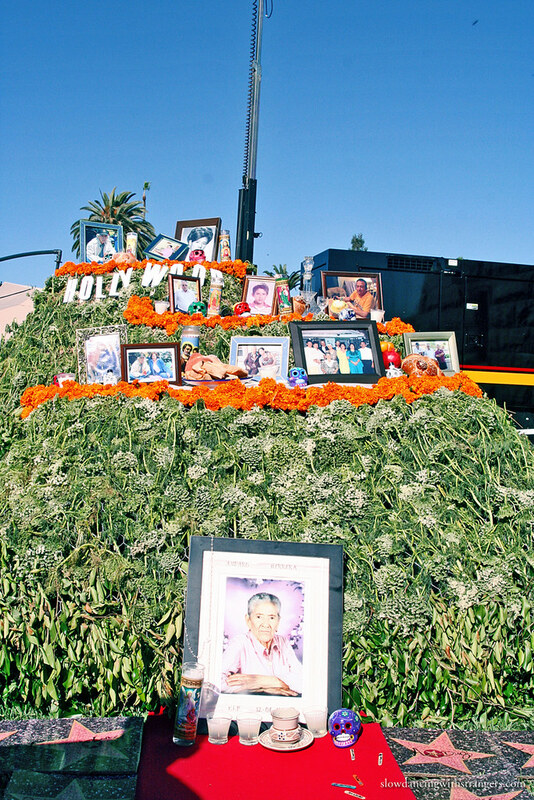 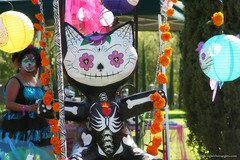 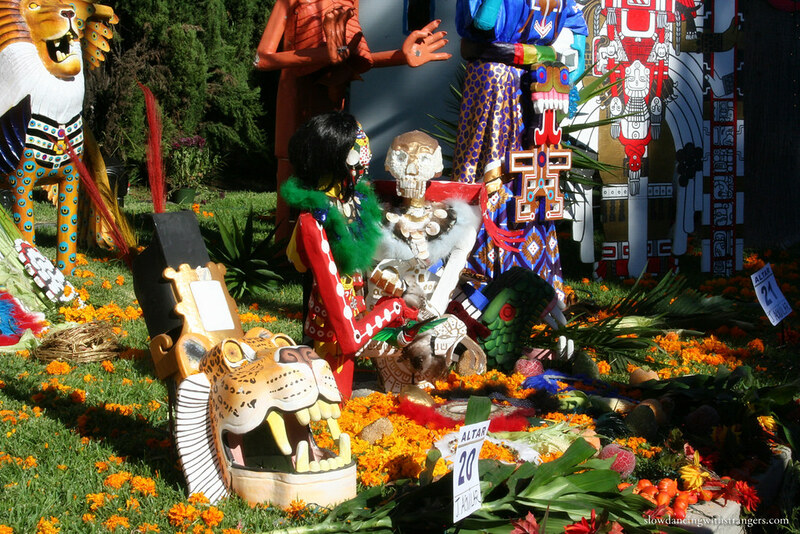 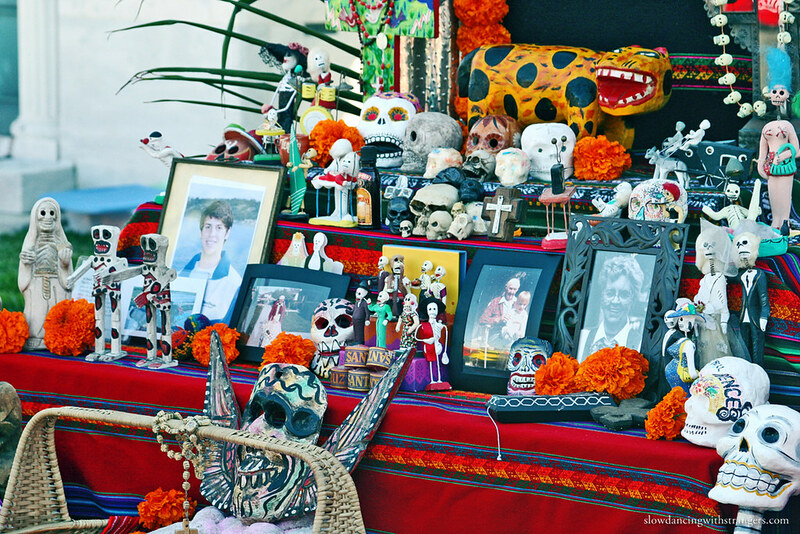 Yesterday Kimi and I attended Dia de Los Muertos at the Hollywood Forever Cemetery here in LA. It felt like it was a million degrees outside, so I was surprised to see so many people dressed in black and in formal wear without breaking a sweat. 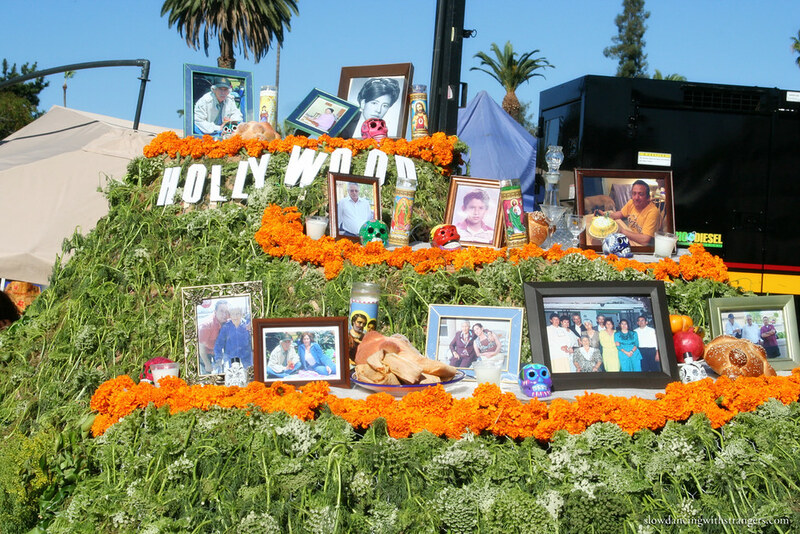 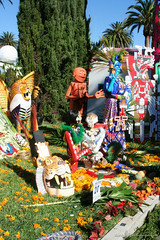 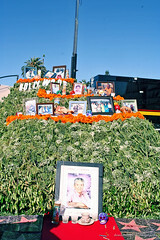 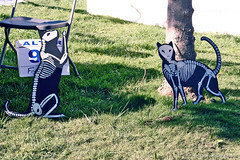 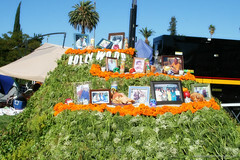 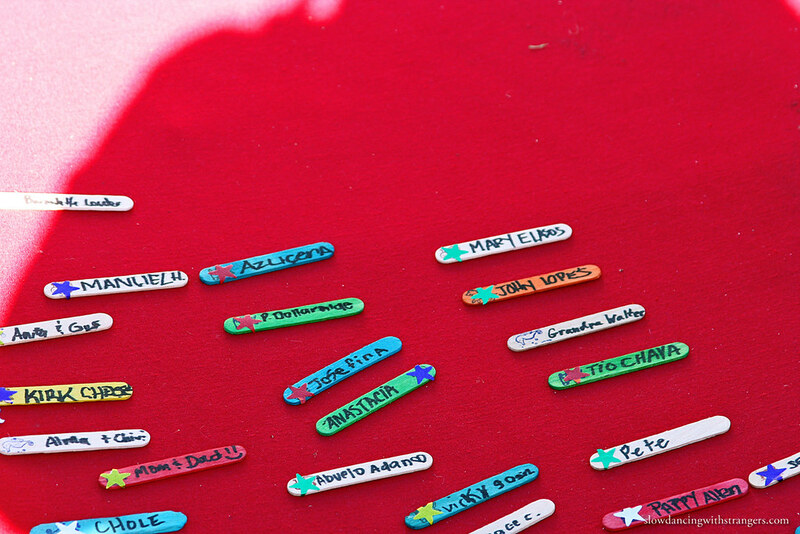 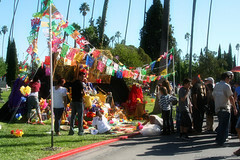 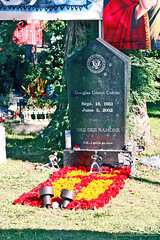 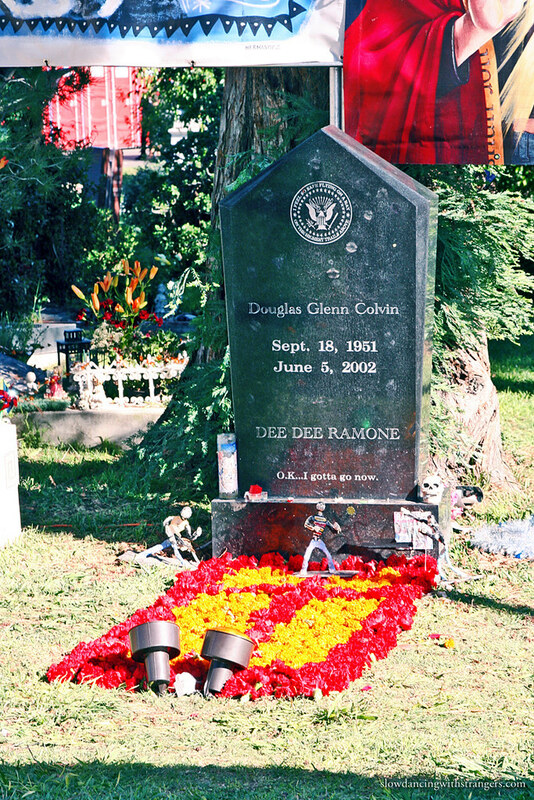 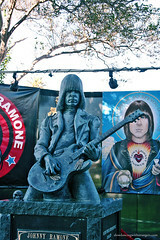 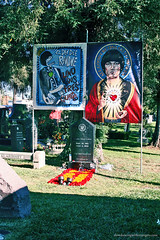 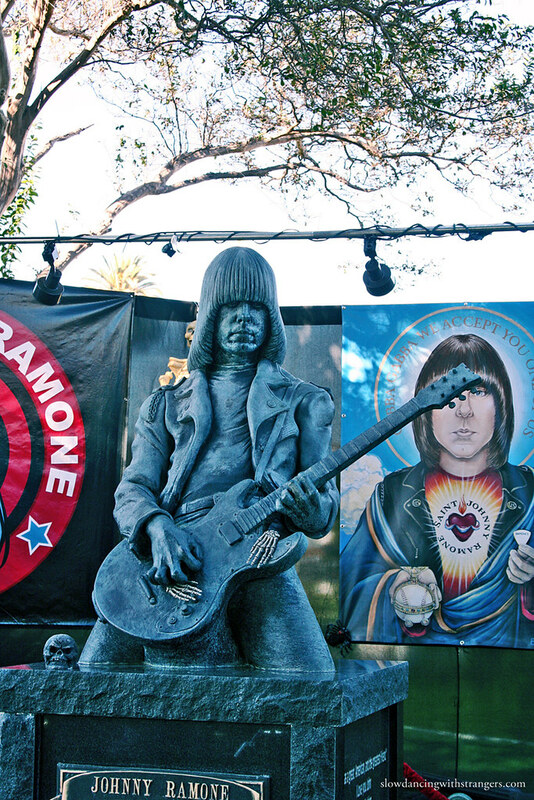 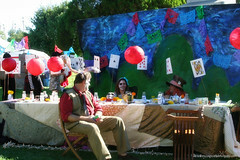 The Hollywood Forever Cemetery was lined with displays, all paying tributes to loved ones (even loved furry companions). 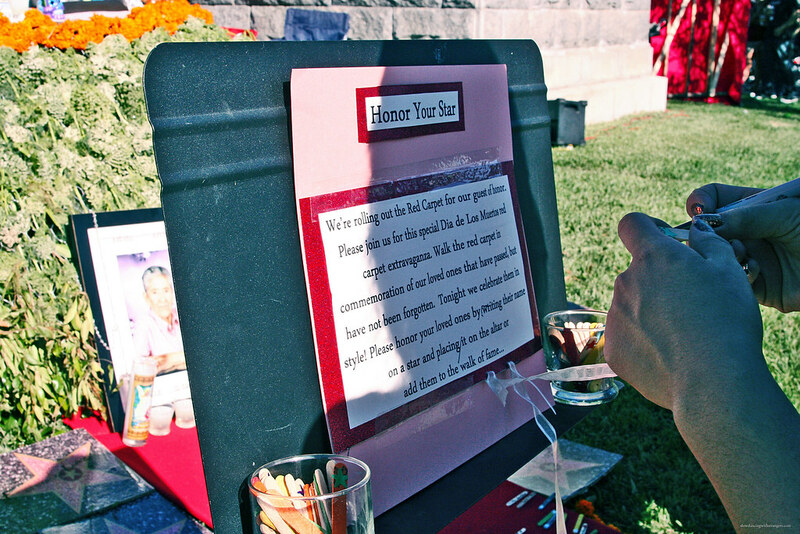 The whole experience made me a bit sad, especially when display that was dedicated a young girl who lost her battle with cancer, but as tradition goes, this is meant to be a happy celebration.